With so many types of protein sources and protein powders, it can often be confusing to know exactly which is the best form of protein for you. 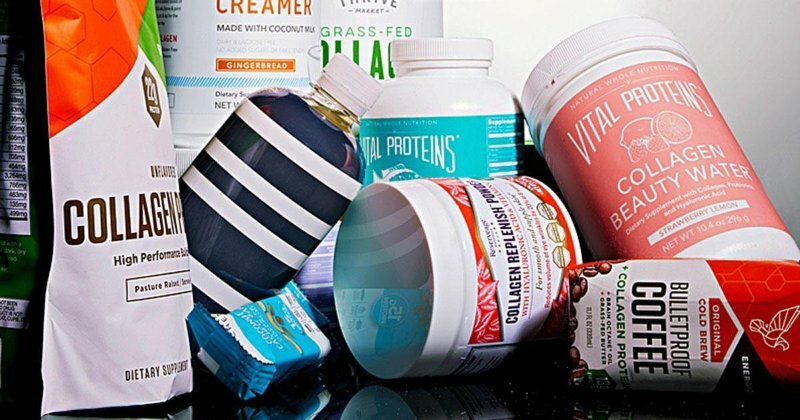 Collagen protein supplements have gained popularity due to their unique qualities. Here are just some reasons to consider collagen protein powders as a part of your keto diet or any diet for that matter. What Causes Collagen to Become Depleted? What is the Connection Between Collagen and Skin Health? What Are the Benefits of Collagen Protein Supplements? What Is the Best Source of Collagen Protein? Is there any Collagen Side-Effects or Negative Aftereffects? Collagen is the second most abundant substance in the human body, second only to H2O (water). Collagen proteins are responsible for creating strong connective tissue, healthy skin, and are an essential building block for numerous systems in the body. Responsible for protecting blood vessels, tendons, bones, ligaments, and the internal organs, collagen is necessary for the overall health and wellbeing of the body. The main factor in the loss of collagen over time is aging. The normal wear and tear of the human body causes the skin to become less elastic, thinner, with weaker connective tissue. This results in wrinkles, as well as the common signs of aging, such as spots and thin skin. The body actually begins losing its ability to generate new collagen around 20 years of age, causing healing time to slow down, joints to begin becoming stiffer, and skin losing it's tightness. Our skin is primarily composed of collagen protein. In addition to elastic, GAGs, and glycosaminoglycans, collagen comprises roughly 80% of the skin (by dry weight). Having adequate collagen in the skin ensures the elasticity, strength, and durability of the dermatitis. Too much sun exposure is one reason for the degradation of collagen in the skin, which can lead to long term health consequences. Replenishing your collagen through supplementation may help the skin regenerate after bouts of excessive sun exposure. There are also many topical creams containing collagen that help replenish this vital nutrient, in addition to supplementation. Some of the reported benefits of this type of protein supplement are better metabolism, improved muscle retention, healthier skin, increased quality of sleep, increased energy levels, better skin elasticity, just to name a few. Read our low-carb protein reviews here. Increased metabolism and energy levels can allow the body to shed extra weight, and collagen protein has been touted as a helpful aid in the process of weight loss. Collagen protein can be derived from many sources. You can get extra collagen through increasing certain foods in your diet, such as kelp and soy products, or you can take naturally derived collagen supplements. CoQ10 contains abundant levels of collagen, which also helps support cardiovascular health. Many collagen supplements are derived from marine and bovine sources, so be sure to research the quality of where these supplements are sourced. Ideally, you would want to find an organic and GMO free source of collagen protein. Be sure to speak with a nutritionist or trained health care practitioner if you have any questions about collagen protein. Lets look at the benefits of collagen powder. 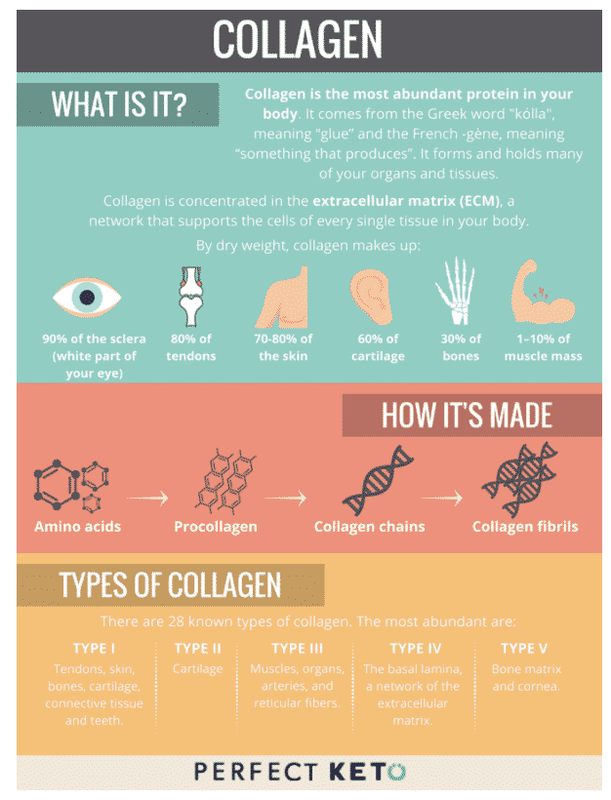 Collagen is found throughout your body, in connective tissues and in your skin. As you age, your body loses collagen, which causes your skin to become loose and more susceptible to damage. Collagen supplements benefits go beyond just having healthier skin; there are many things it can help. Below are just a few ways taking collagen supplements benefits your body. As you age, your skin loses its natural firmness and becomes less supple. Without collagen, your skin becomes wrinkled, and the signs of aging start to appear. You can apply collagen creams directly to your skin, or take them in pill form to help combat this natural occurrence. Taking oral collagen supplements benefits the overall condition of your skin. The collagen can help improve acne conditions and eczema and even help with the appearance of cuts and scars. For adolescents and adults who suffer from acne or other skin disorders, short-term collagen supplementation can be an effective form of treatment. Many people who suffer from arthritis have lowered collagen levels in their bodies. The lack of collagen found in joints and cartilage contributes to the pain and discomfort of arthritis. The collagen is damaged by the excessive inflammation in the joints, but it can be repaired with the use of collagen supplements. A study in 2009 published by the Journal of the American Dietetic Association claimed that older women who took collagen supplements were able to maintain their lean body mass. The effects of aging and the breakdown of collagen can cause the body to become flabbier, and lean body mass is lost. While there is no proof that collagen supplements benefits can stop the aging process, there is proof that your overall health can improve. Speak to your doctor before starting any supplement. Side-effects of taking collagen supplementation may include risk of hypercalcemia. This may possibly be becasue powder may contain marine sources, such as shark cartilage or shellfish, that usually also may contain big dose of calcium. Symptoms of excessive calcium include nausea, chronic fatigue, disrupted heart rhythms. Also it may have negative effect on Kidney ad skin. Consider keto-friendly collagen protein powder, it just may help you to reach your health goals.